Select 1 face up Synchro Monster you control, Special Summon 1 "Waltz Token" with the same Type, Attribute, Level, ATK and DEF as that monster. Players take no Battle Damage from battles involving thi.. Select 1 face-up Defense Position monster your opponent controls and 1 face-up Attack Position monster you control. The monster you control gains ATK equal to the opponent's monster's DEF, until the E.. If this card is sent to the Graveyard as a Synchro Material Monster, until the End Phase of this turn, the Synchro Monster that used this card as a Synchro Material Monster gains 600 ATK but its effec.. Draw 2 cards.if the combined ATK of all your face-up Attack Position monsters (minimum 2) is less than the ATK of your opponent's face-up monster with the lowest ATK, you cannot Summon or change Battl.. If a face-up Attack Position monster you control is destroyed by battle, during damage calculation, you can reduce the Battle Damage from that battle to 0 and Special Summon 1 Level 4 or lower Warrior..
1 Dragon-Type Synchro Monster + 1 Warrior-Type monster. 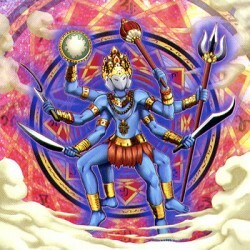 This monster can only be Special Summoned by Fusion Summon (from the Extra Deck). Once per turn you can select 1 Dragon-Type Synchro Monster in ..